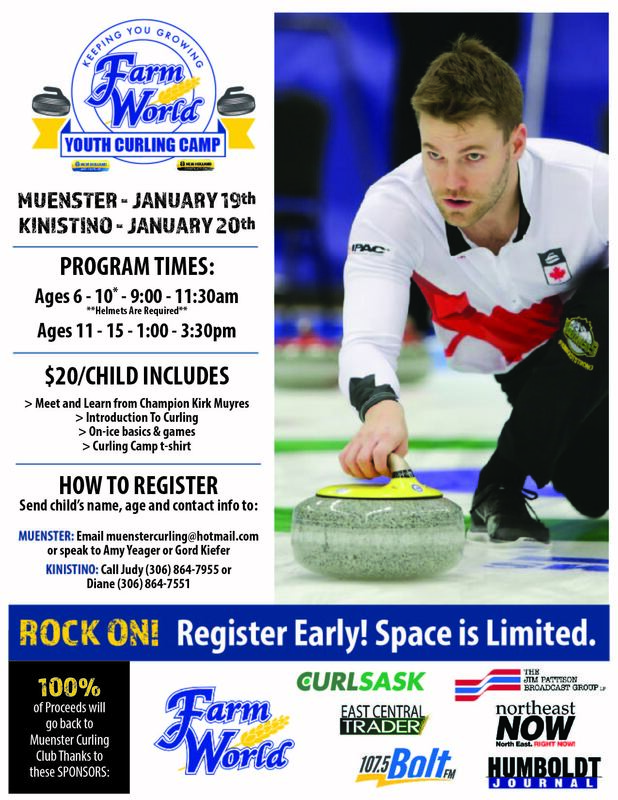 Farm World is excited to partner with Muenster Curling Club and Kinistino Sports Complex to host the Farm World Youth Curling Camp. Open to youth ages 6 - 15, this curling camp is a great introduction to Canada's beloved sport of curling. Meet and learn from SK raised Kirk Muyres who currently competes on the professional Curling Tour.